Uber Property comes with a bunch of attractive pre-made layouts. You can customize the look and feel of posts and add as many amenities as you want. 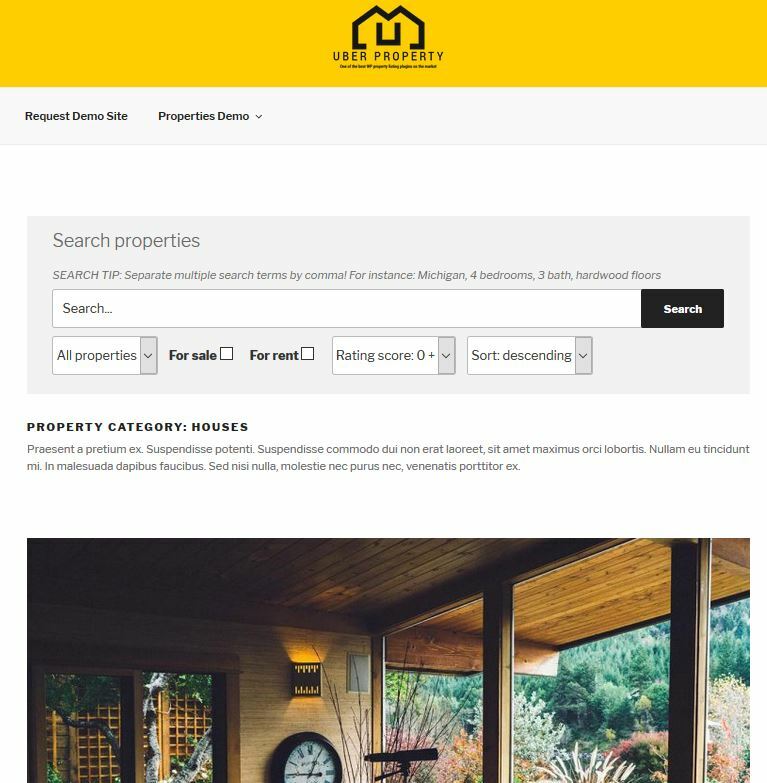 Webmasters can assign a Google Map to each property and allow visitors to rate properties. A user friendly search functionality is built-in. 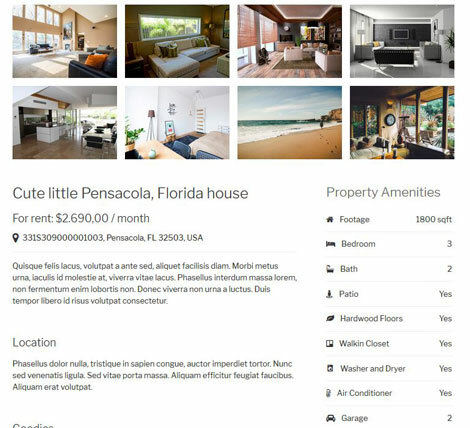 Uber Property should work with most themes, though in certain cases you may have to make minor CSS changes. This is a commercial plugin by an Elite Author.